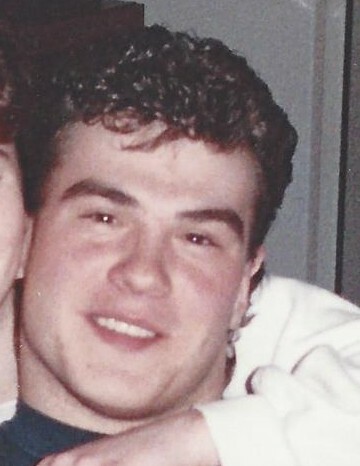 Steve R. Adams Jr., age 46 formerly of Conneaut, died at his residence in Hubbard, Ohio January 25, 2019. Steve was born December 6, 1972 in Conneaut, Ohio the son of Steve ‘Hector” Adams, Sr., and Jane Cornuet Adams. Following graduation from Conneaut High School class of 1990, Steve followed in his father’s footsteps and went on to the Pennsylvania Institute of Culinary Art in Pittsburgh, PA, to follow his passion for cooking. Steve graduated with an Associate Degree in Culinary Art Technology. Steve returned to the Conneaut area and opened “Steverino’s” in downtown Conneaut. He later went on to cook at Rachael’s Restaurant and Catering in Youngstown and Globe Restaurant in Hubbard. Steve loved to cook for family and friends, fish on Lake Erie, play pool and golf with friends, and enjoyed weightlifting to stay fit. He was an avid Cleveland Browns and Indians Fan. Steve was preceded in death by his paternal grandparents, George and Dorothea Adams and maternal grandfather Richard Cornuet. Steve is survived by his father Steve (Hector) and Alonna Adams Sr., of Ashland, Ohio, mother Jane and Gary King of Conneaut, Ohio, two sisters Tracy Games and Audree Gerasimchik, grandmother Jane Cornuet, several aunts, uncles, nieces and nephews. A Celebration of Life to remember Steve will be held Saturday, February 9, 2019 from 1:00 p.m. to 3:00 p.m. at the Raisian Family Funeral Home, 581 Harbor St., Conneaut, Ohio.